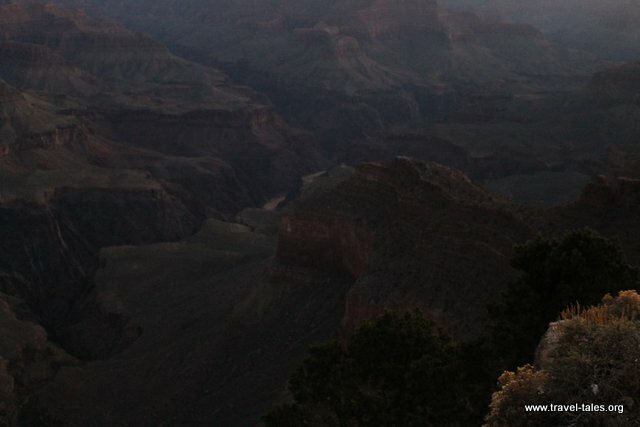 The sun sets around 5:30pm at the time of year I was at the Grand Canyon and the early darkness with practically no light pollution makes for an early night. Which was important considering I was due to get up early the next morning to catch the sun-rise tour. 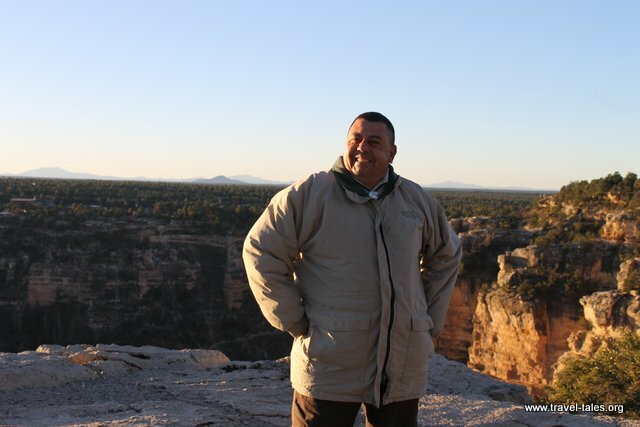 Our guide, Carlos, met us at 5:30am and we set off to Mojave Point. 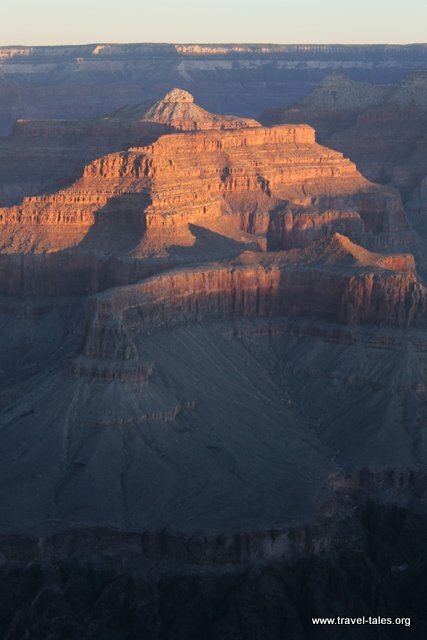 Light started to illuminate the canyon before we could see even the edge of the sun rise. The shiny river stands out better in this low light than it did during the day. Looking out to the east, the sun slowly edged over the horizon and started lighting up the towers of rocks to the West of the point. Watching the colours change in the sky was just as striking as seeing the light hit the rocks. I haven’t mentioned this before, however suspect you already know that none of the pictures I took a true reflection of the beauty and enormity of the Grand Canyon. 1 On this and other occasions on this trip I was amazed how the human eye and brain are able to both focus on a small speck and filter everything else out to spot a birds nest I can’t see on the picture I took of the area as well as being able to absorb the vastness of the landscape.